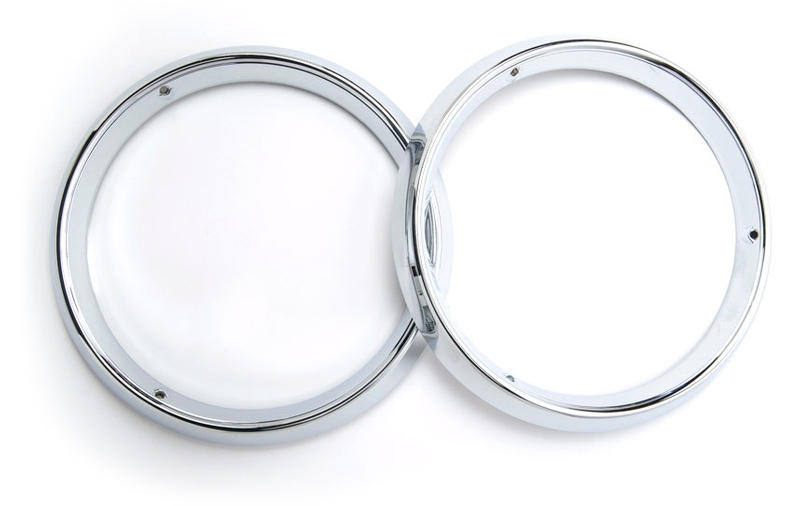 1956-1957 Corvette Headlight Bezels. Diecast zinc, as original, cast in Los Angeles, California, and polished and triple plated (copper, nickel, chrome) right here in Southern California. A beautiful, and accurate, reproduction part. Sold in pairs, and includes rubber gaskets with correct profile. Rubber extrusion is also manufactured with our tooling in Los Angeles, California. Perfect for your Corvette.